Teddy Bear Picnic ideas for preschoolers through second grade. 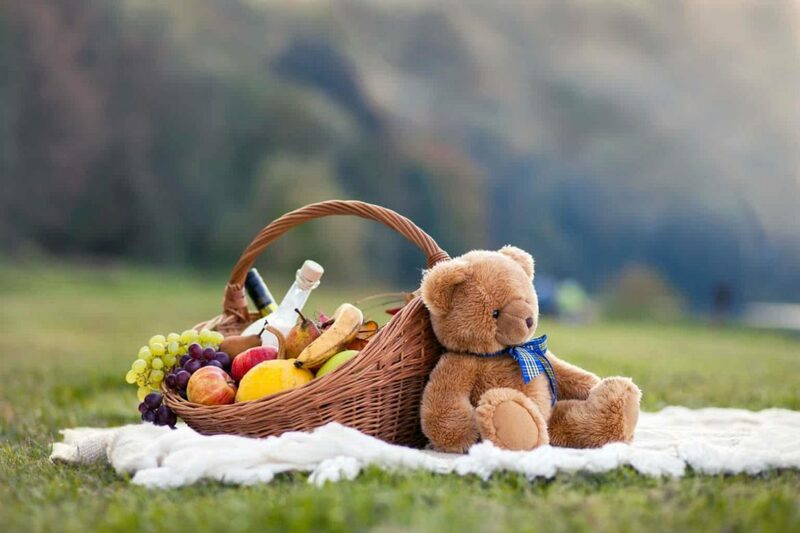 Materials needed: Plastic food, basket, scarf or small picnic blanket, teddy bear and The Teddy Bear’s Picnic song. Optional: When the game is finished, put out Teddy Grahams on the scarf for the children to eat. This is a great game which encourages teamwork, independence, and creative movement. Our teacher had each student bring in a teddy bear and a ‘sleeping bag’ for the teddy (pillowcase/pillow). The bears spent the night in the classroom. When the kids got to school the next morning, they were so surprised to find each of their bears in a different center. One bear was playing LEGOS. Another was reading. One had written on the chalkboard. One wrote a note to his ‘owner’ and slipped it on his desk. SO CUTE! And the kids had to clean up any mess their teddy bear had made. They loved it. We have students make a car for their teddy using a shoe box. Let students paint it any way they choose. When it is dry add a string so that the students can pull their teddy. We then take our teddy’s on parade. Let students make a picture of what they do with their teddy at home. The children enjoy making up stories about their teddy bears. Then, have a teddy bear picnic and let the students tell their stories.